A scenic trip up north for Tynemouth’s next fixture at Felton...……. 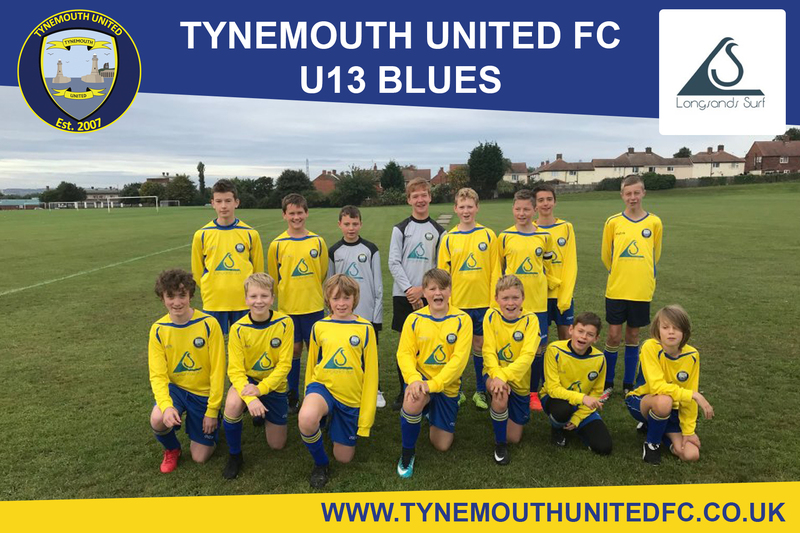 Last year’s game was a bit of a disaster for the Blues when they were convincingly beaten but since then Tynemouth have played them twice and have pushed Felton right to the wire in each occasion. Sadly, Felton coming out on top in each game but hopefully today’s game would be a turning point. Unfortunately, we weren’t going to be at our strongest for this game due some last-minute injuries and county call ups. Thomas was absent through illness, Sam was available but suffering from mild concussion due to some capering at school involving one of his team who will remain nameless. Oscar was also available again but was still suffering with back issues and Oscar was away playing for the county. After filling rabbit holes and checking the pitch both teams were ready for a game of football. There was nothing to separate the 2 teams in the first 5 minutes with both groups of players committed to the cause. Unfortunately, Felton managed to make a break down the right wing with the ball crossed low their attacker was able to fire past Noah. The boys weren’t too disappointed because they knew they had plenty of time to make amends. And chances did come their way with a series of corners that saw Euan and Lucas come close with headers. Then Charlie W came very close when his shot from a tight angle hit the side netting. Thankfully we got our deserved equaliser in the 20th minute when Euan won the ball of Felton who attacking our goal. He played the ball to Harry who drove forward and played a precise long pass for the racing Blake to run on to. He just managed to knock it round the rushing Felton keeping and was then able to slot it into an empty net. A few changes were made before half time with Sam coming on for a run out to replace Lucas and Ben on for Charlie W. Tynemouth pressed on for another goal with the most likely chances coming from set pieces, again another corner and again another header, this one coming from Martin. Unfortunately, just wide again. Felton were also trying to get their noses in front before half time and would have if hadn’t been for and excellent save by Noah. The ball had found its way to an unmarked Felton player inside the box. The player blasted it low into the bottom corner, but Noah manged to react like cat and direct it past the post with his fingertips. Second half saw Lucas come back on for Sam who bravely had a go in the first half though he wasn’t 100% fit. The second half saw plenty of endeavour from both teams, but no side was able to force a winner. Felton came closest when an attempt by them hit the post then right at the end a shot from distance sailed past our goal. All in all, a draw was definitely a fair result and it just shows how much as a team we have improved this year. Only two goals but as a spectacle it had been an excellent game to watch. Its playing against teams of this quality and matching them all the way shows how far we’ve come. There are no weak links in our team; this performance proves it, Thomas wasn’t able to play but we had Will, Jack, Martin and Daniel who were excellent in defence. We have an abundance of riches in midfield and blessed with pace and strength in attack. Finally, how many teams have two excellent keepers to choose from.